Rebein Brothers, PA is pleased to announce the addition of a new attorney to the Dodge City office. 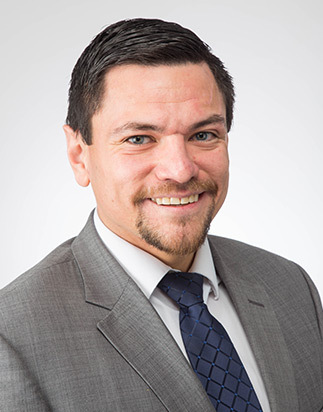 Attorney Pablo Mose joins the firm with several years of litigation experience, specializing in personal injury, truck and car accidents and class action cases. Mose brings with him extensive experience which he gained while working at a national defense firm. This law experience catapulted his desire to work in plaintiffs law to help those in need and use his knowledge of defense strategies to achieve the best outcome for his clients. Mose earned his B.A. from Emporia State University and his J.D. from Kansas University, where he was a member of the KU Law Review, champion of the school’s Moot Court tournament and won the top Trial Advocacy award. Mose and his family have relocated to Dodge City and are active in Hispanic groups and their local church. Mose looks forward to serving the people of Western Kansas and throughout the state.